POLITICAL party reshuffle day seems to have taken on a thrusting new excitement among the politicos with rolling blogs and live feeds running across the internet, as the info drip-drips out of the government and the shadow front bench. 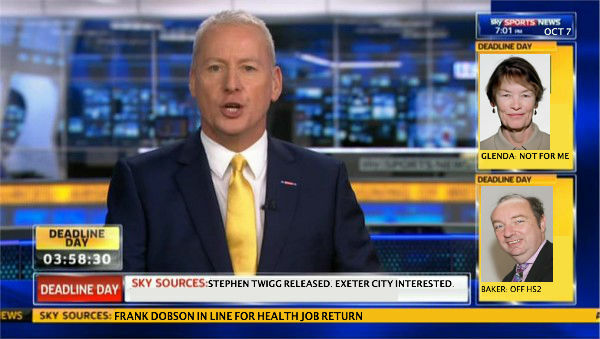 The call for Jim White, Sky Sports’ famously excited ‘Deadline Day presenter, to cover this all is a good one. See below, it could really work. I’d tune in.